It’s the middle of winter in South Africa and it’s c-c-c-c-cold! Yesterday a gorgeous pink and orange sunrise warned us that there was foul weather afoot, and indeed, tonight the skies opened up and it’s been bucketing down for hours here in Cape Town. 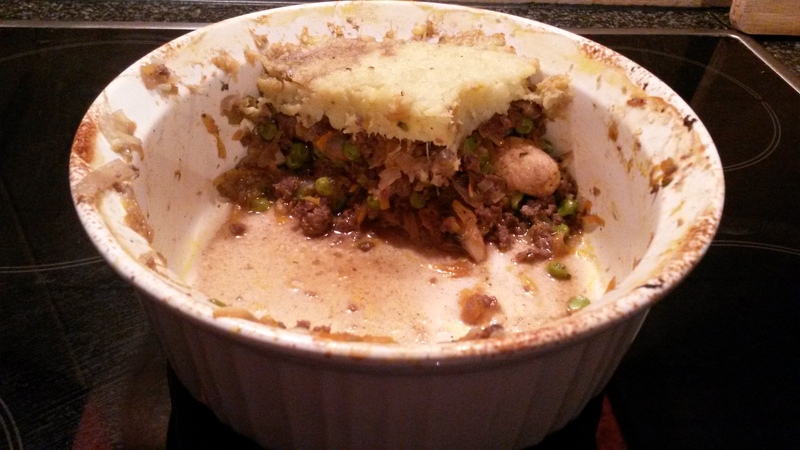 I combined various recipes that I found for paleo shepherd’s pie, tweaking them based on the ingredients I had, and the result was deeeelicious! K wasn’t crazy about the cauliflower topping but that just meant more for me! Oh, and apologies for the photo. We were so eager to tuck in that I only remembered to photograph it later… when this was all that was left! 1. Place the cauliflower into a pot and boil until very soft, about 15 minutes. 2. Meanwhile, add onions, celery and carrots to a large pot with a knob of coconut oil. Fry on med-high heat, stirring often, until veg has softened – about 5 to 7 minutes. 3. Add mince and break up with a spoon. Add wine/stock and stir until evaporated/absorbed. Add tamarind paste/tomato paste and stir to incorporate. 3. Add rosemary, thyme, black pepper, salt and a good shake of cinnamon. 4. Add mushrooms and peas (from frozen is fine) and allow to simmer for 8 to 10 minutes. Add a dash of water if the mixture becomes too dry or catches on the bottom of the pot. 5. While the meat simmers, add salt, pepper and a knob of coconut oil to the cauliflower, and mash until soft. 6. Transfer the meat to an oven proof dish and top with the cauliflower mash. Bake at 180C for 10 minutes and then grill until the mash browns on top, about 5 minutes. Tuck in! The great thing about this recipe is that you can tweak it based on what you have at home and it’s still bound to be delicious. You can also use sweet potatoes for the mash instead of cauliflower. Give it a whirl and let me know what you think. 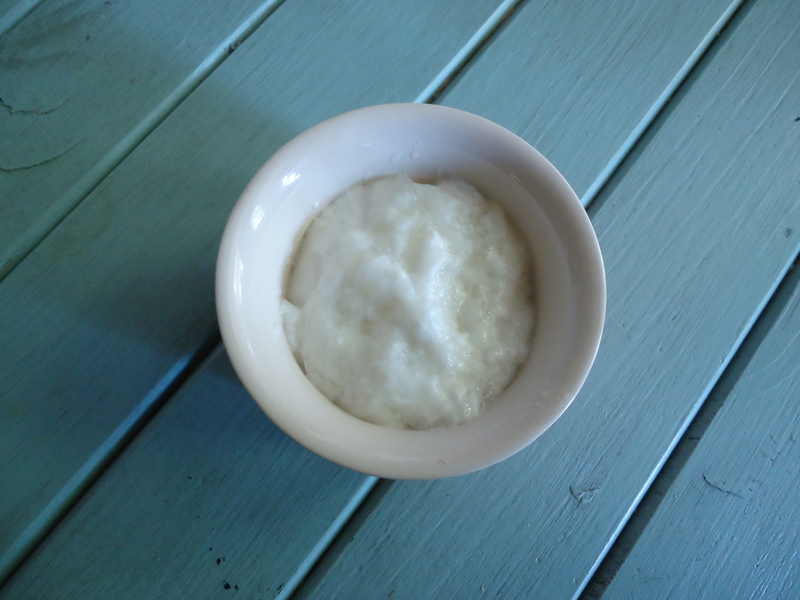 **Update: If you find that your yoghurt separates after refrigerating, give it another whizz with the stick blender to re-incorporate the coconut cream (which will have risen to the top in a thick, hard layer) with the gelatine. Return to the fridge for a few more hours to firm up. 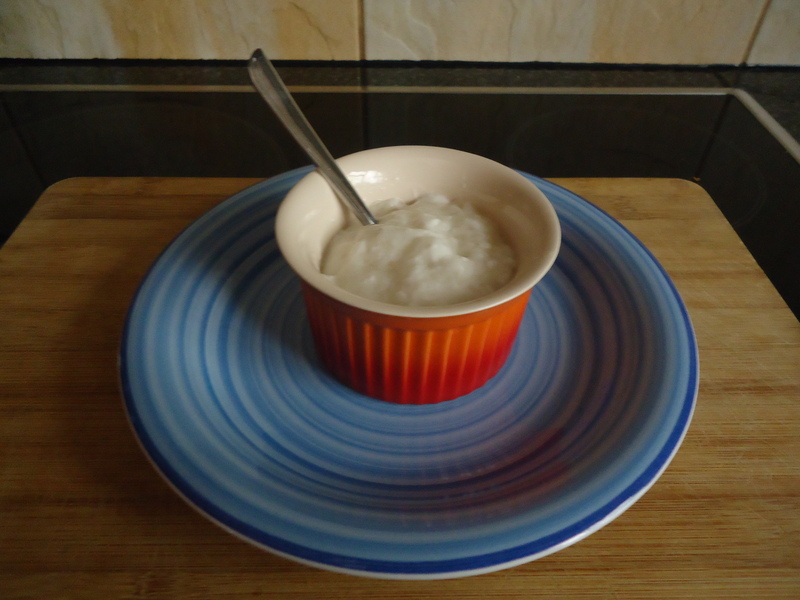 I LOVE my SCD coconut and cashew yogurt (recipe here), which I eat most nights after dinner, drizzled with honey. However, when my nutritionalist instructed me to start following the autoimmune paleo protocol, she said that nuts were out (sob!). I knew this was going to be a tough transition and I especially didn’t want to give up my yoghurt. However, she did recommend that I try to eat coconut milk every day. Very quickly I decided to try to make the yoghurt without the cashews, and after a failed attempt or two, I think I’ve finally perfected it. Remember to factor in 24 hours for incubating and refrigerating. Place the coconut into your blender and fill with boiling water (you should aim to use about 1 litre of water). Blend for several minutes, pulsing at first to break up the mixture (it gets quite lumpy). Place the sieve ‘into’ the nut milk bag (so that the sieve is covered), place over a large clean pot, and pour the blended mixture through. The aim is to capture all the milk and none of the pulp. Allow to drip until cool enough to handle, and then with clean hands, squeeze the remainder of the milk from the pulp. It will look a little like you’re milking a cow. Mix the gelatin with 1/4 cup of room-temperature water. Allow to sponge for five or ten minutes, until firm. Add the vanilla extract, honey, probiotics (open the capsules and pour the powder out) and gelatine to the milk, and blend very well with a stick blender. Pour into the sterilised bowl/container of your your yoghurt maker, place it into the yoghurt maker, and allow to incubate for 12 hours. 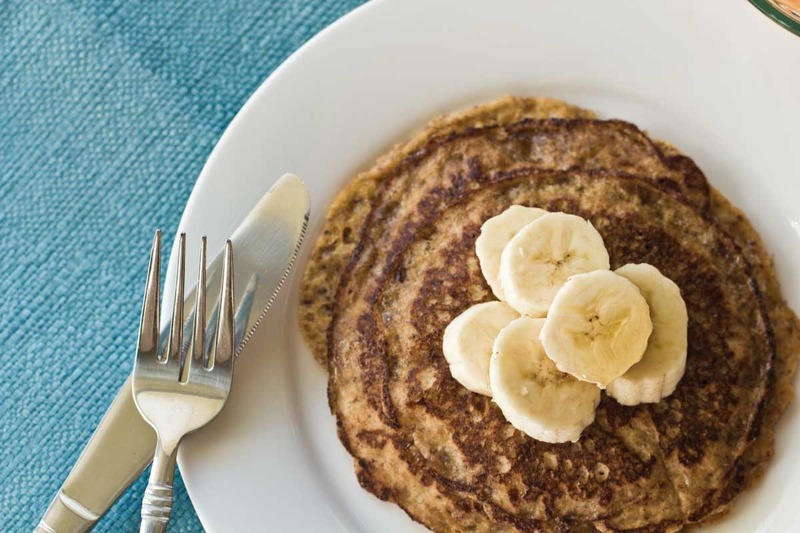 Serve with grain free cereal, add to curries, soups or smoothies, or simply enjoy on its own, drizzled with honey. ** If you find that your yoghurt separates after refrigerating, give it another whizz with the stick blender to re-incorporate the coconut cream (which will have risen to the top in a thick, hard layer) with the gelatine. Return to the fridge for a few more hours to firm up. Sink your teeth into this, AIPs! There are few things I love more than a juicy rump. I’m also a big fan of a rare steak, so I was pretty thrilled that K chose to fry up this bad boy for us tonight. 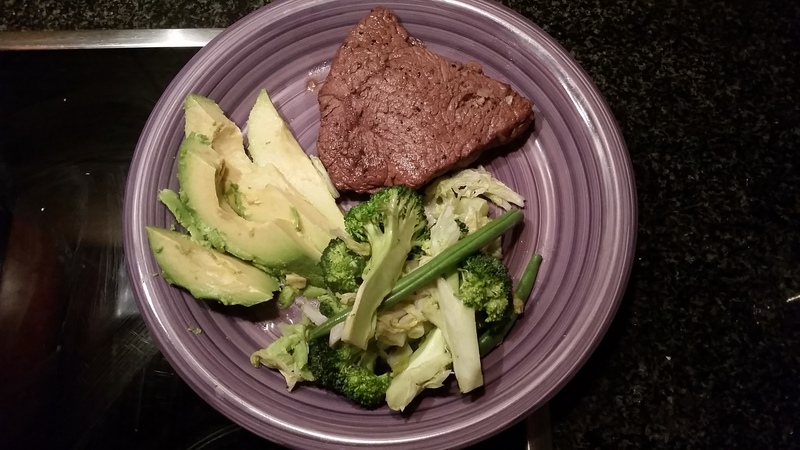 For carnivores, it’s the ideal paleo, autoimmune paleo or SCD meal: rump steak seasoned with fresh garlic and black pepper, trimmed of fat and fried in a dab of olive oil, served with perfectly ripe, creamy avo and lightly stir-fried veg seasoned with salt, pepper, a touch of lemon juice and a sprinkling of apple cider vinegar. Such a simple but delicious meal that really hits the spot, and provides a solid dose of healthy fats, protein, vitamins and minerals. Plus, it takes just a few minutes to whip up. Win! 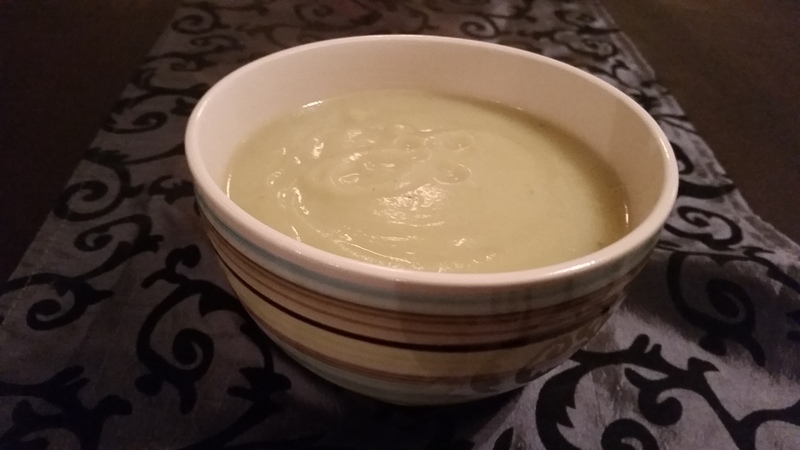 My sister made this amazing soup for me last week, and I instantly fell in love with it. Why is it so special? It’s filling, easy to make, and it doesn’t feel like it’s ‘missing’ anything despite having no dairy or gluten. It’s also a great way to get more broth into your diet (if you’re not vegan/vegetarian). Oh and it’s delicious! Thanks C for this amazing recipe! “I let the ingredients fry while I chop the next thing. 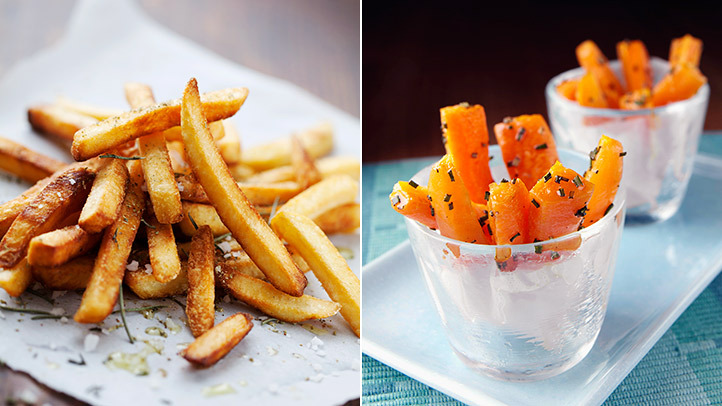 I think it makes a difference to the flavour to let it fry a while,” advises my sister. – Chop the onion and add to a large pot with the coconut oil. Fry on medium-high heat. – Chop the garlic and break the cauliflower into florets and add to the pot. If the pot becomes too dry, add more coconut oil or a splash of water. – Add the cubed sweet potato and chopped coriander to the pot and season everything well with salt and black pepper, and garlic salt if desired. – Pour in the stock/broth, then fill the pot with water and bring to a boil. Reduce heat, cover and simmer for 1 hour. – Remove from heat, blend with a stick blender and serve. *Most shop-bought stocks aren’t suitable for those of us following healing diets. Make your own vegetable stock by simply reserving the cooking water when you boil veggies on the stove.